There is no doubt that many who have seen a play are intrigued as to *what happens* on the other side of the curtain. 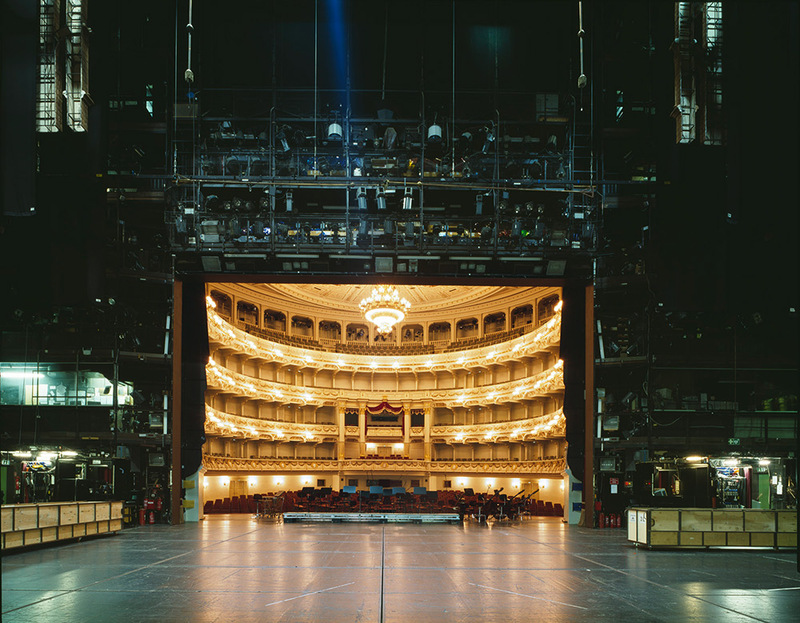 Hamburg-born photographer Klaus Frahm decided to go to the other side of the curtain and show us what is behind the magic of the stage. 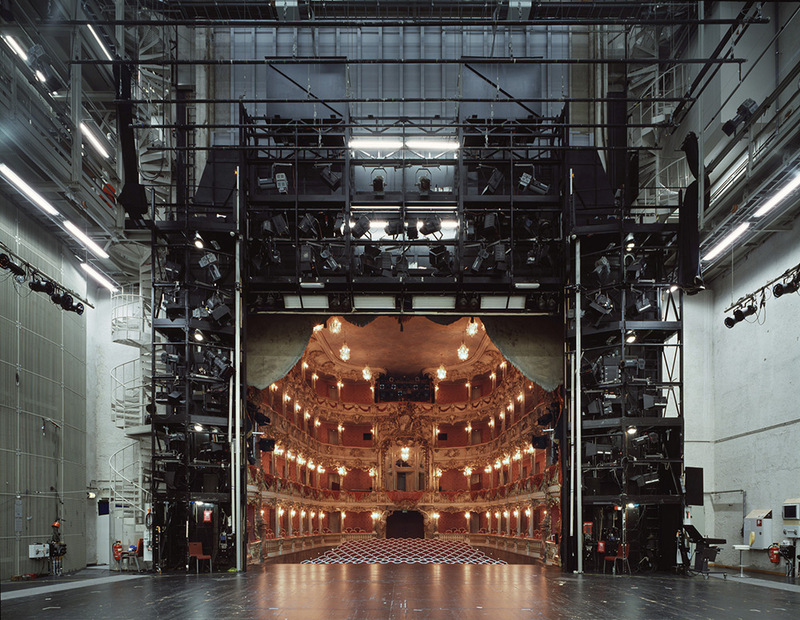 In his series of photographs entitled Behind: The Fourth Wall, Klaus has gone around Europe to reveal to us the intricacies and mechanisms behind the theater. Behind: The Fourth Wall started when Klaus was doing some photography work for an architect. 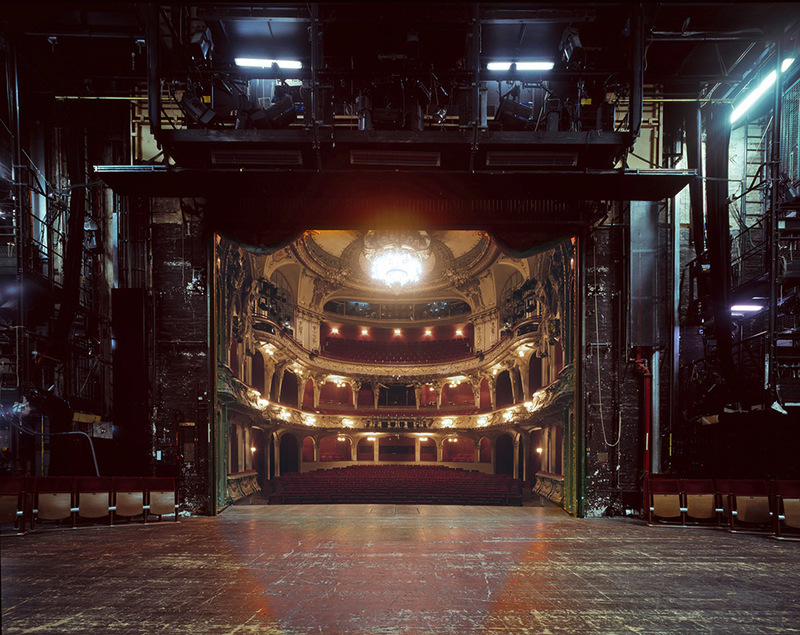 Frahm’s intention in Behind: The Fourth Wall is to give a new perspective and give a fresh insight to an already familiar setting. 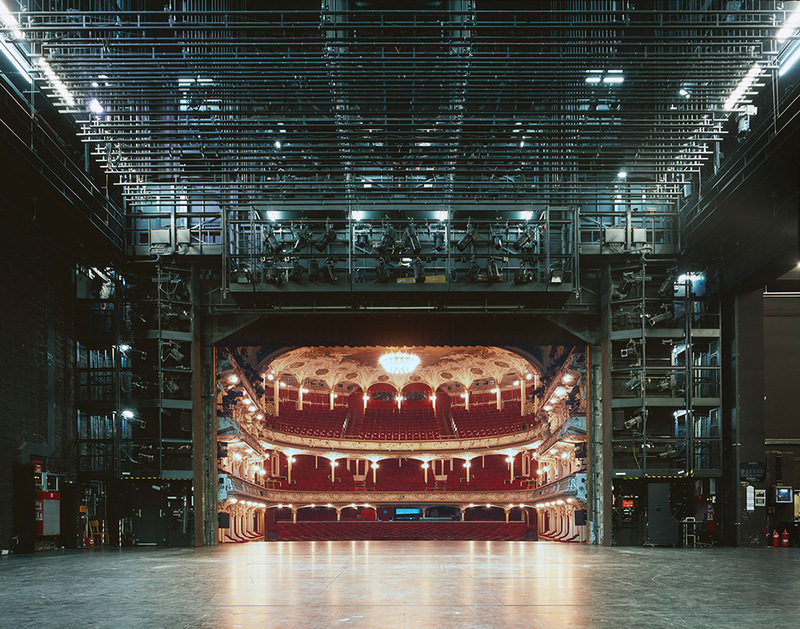 Frahm’s photographs are beautifully composed and perfectly contrasted. 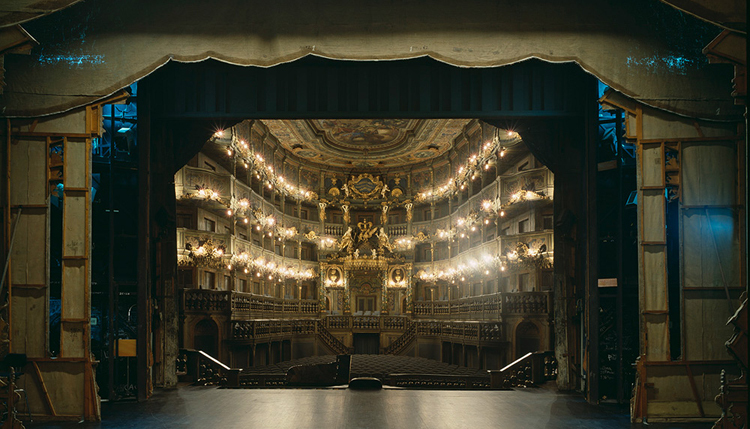 By framing the warm and welcoming audience seats with the cold and dark innards behind the stage, his images reflect the nitty- ritty reality behind every play and performance. Behind: The Fourth Wall also gives us a chance to imagine or play out a scenario. 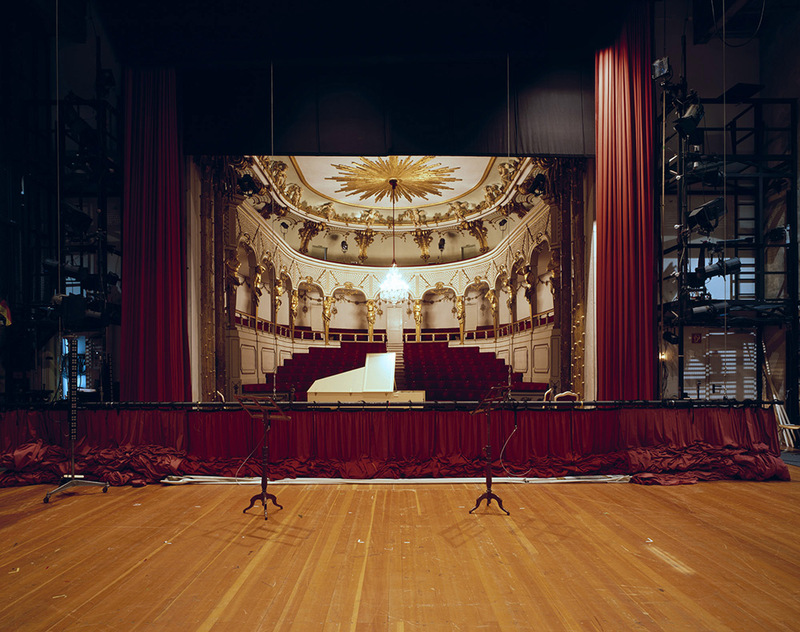 Frahm’s gives us the opportunity to think as to how will a play work, how the lights will be setup, and the chaos that happens behind the curtain.